We provide a friendly, efficient bookkeeping service throughout Elgin and the Moray area to individuals, sole-traders, partnerships and small businesses. We can help with the preparation of annual accounts and submission of tax returns to HMRC as well VAT Returns, general bookkeeping and advice. Our bookkeeping services are flexible so whether you need a couple of hours of support a month, a few days or even just once a year for self-assessment we can help. 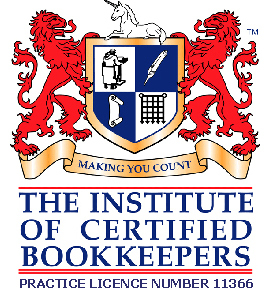 Dawn is licenced and fully supported by The Institute of Certified Bookkeepers.